You may have seen them zooming around town – electric cars, scooters and golf carts. Key West tends to move at a relaxed pace, and these neighborhood electric vehicles can be especially useful for sightseeing around Old Town. You’ll find most of these rental agencies all around Old Town, especially on Duval Street. Daily shuttle service included in your stay at The Gates Hotel will bring you right to Mallory Square, where you can find an agency (many of which we’ve listed below!). Take a load off your feet, round up friends or family and rent yourself a little transportation device to explore Key West. Here we’ll address all of your questions. 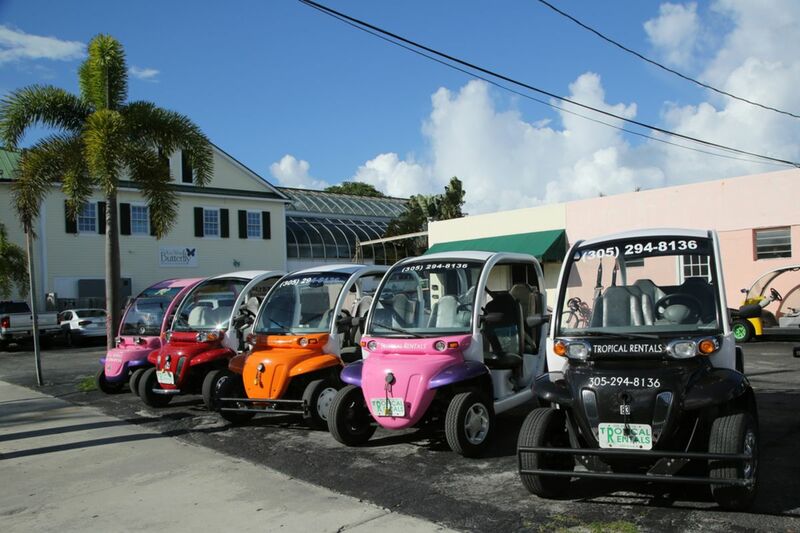 Where can I drive a golf cart or electric car in Key West? Golf carts and electric vehicles may be used on streets where the posted speed limit is 35 miles per hour or less. The good news is, the streets in Old Town have a maximum speed limit of 20 miles per hour, so you’re good to cruise around. This depends on the rental agency you choose, but just about all require a minimum age of 18 to operate a vehicle. Yes, you must have a valid driver’s license to rent any vehicle. In most cases, kids are permitted to ride aboard electric vehicles or golf carts, though require helmets. This will also depend on which rental company you select. Yes! The same rules of the road apply for electric vehicles, period. 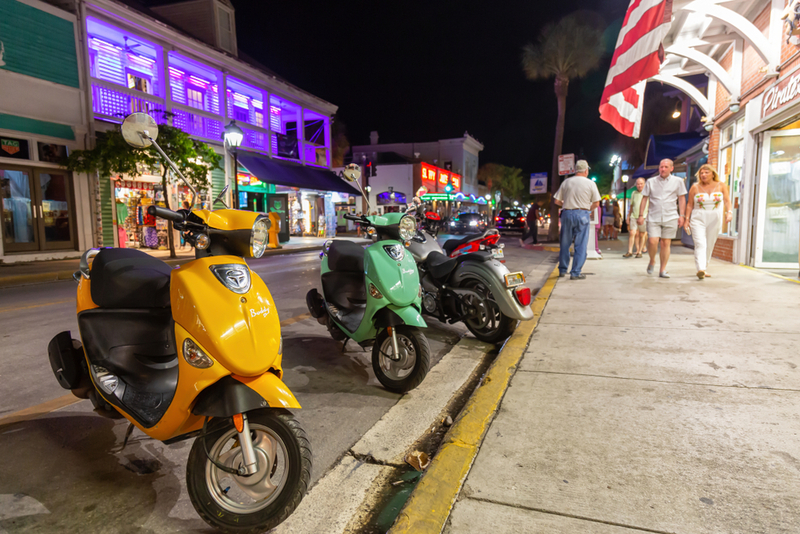 There are, however ,plenty of designated scooter parking spots around Duval Street. Nope! No drinking and driving, no matter the vehicle. Can you point me to scooter & golf cart rental companies? Looking for accomodations that make the most sense? Consider staying with us at The Gates! We’re pet-friendly, offer hourly shuttle-service to Old Town, and we have an awesome swimming pool. See photos of The Gates and read about nearby attractions.